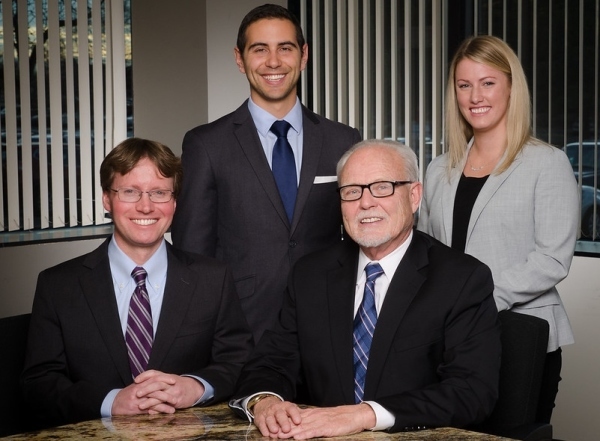 With over six decades of combined legal experience, the attorneys at Kirch Rounds Bowman & Deffenbaugh PC provide high quality legal services to Colorado and out-of-state clients. As a boutique law firm specializing in Estate Planning, Tax Planning, Trust and Estate Administration, and Trust and Estate Litigation, our experienced attorneys and staff will guide you through these complex areas and protect your assets for future generations. ​At Kirch Rounds Bowman & Deffenbaugh PC, our staff partners with clients to navigate the legal and practical complexities of estate administration, estate planning, probate, trust administration, taxation, and probate litigation. Whether you need assistance in planning for your future, help handling the affairs of an incapacitated or a deceased loved one, or an advocate in trust and estate litigation, our knowledgeable attorneys and personable staff are here for you. The Aurora, Colorado attorneys at Kirch Rounds Bowman & Deffenbaugh PC provide quality representation for clients throughout Colorado, including the cities of Denver, Centennial, Englewood, Littleton, Highlands Ranch, Parker, Castle Rock, Arvada, Golden, Franktown, Elizabeth, Kiowa, Elbert, Sedalia, Lone Tree, Larkspur, Monument, Palmer Lake, Limon, Boulder, Broomfield, Thornton, Westminster, Edgewater, Lakewood, Evergreen, Wheat Ridge, Glendale, Brighton, and Commerce City. Our lawyers also represent clients from the communities in and around Arapahoe, Douglas, Denver, Adams, Jefferson, Broomfield, Boulder and Elbert counties.